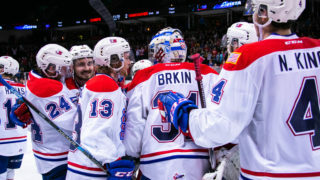 Spokane Chiefs forwards Luke Toporowski (pictured left) and Adam Beckman (right) were each listed in the NHL Central Scouting Service’s November “Players to Watch” list for the 2019 NHL Entry Draft. Both earned a “C” rating on the list, indicating a potential 4th-6th round pick in the draft. Toporowski maintains his ranking from the pre-season list that was announced in early October. Building off a 23-point (10G-13A) campaign as a 16-year-old rookie last year, the Bettendorf, Iowa native has picked up 17 points (6G-11A) in 18 games so far this season. He has been particularly hot lately, scoring a goal in three-straight games entering Tuesday’s contest at Seattle. 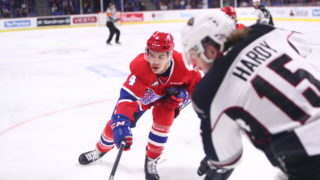 Beckman began the season unranked but has caught the attention of NHL scouts with a breakout season, leading the WHL in goals scored by a rookie with eight while adding five assists for 13 points (6th WHL). Beckman, from Saskatoon, Sask., earned Top Forward honors in the SMHL last season after leading the league with 78 points including 44 goals. The 2019 NHL Entry Draft will take place in Vancouver, B.C. on June 21-22. 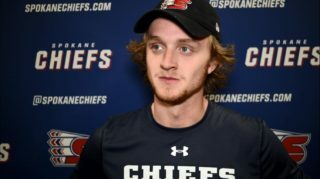 Spokane has had multiple players selected in back-to-back drafts, including current team co-captains Ty Smith (2018 1st round; New Jersey Devils) and Jaret Anderson-Dolan (2017 2nd round; Los Angeles Kings). 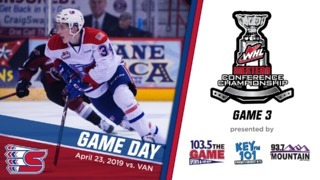 Coeur d’Alene Casino BINGO Night is Friday, November 16 take on the division-rival Seattle Thunderbirds at Spokane Arena. All fans in attendance will be given a free BINGO sheet and invited to play along throughout the game for a chance to win various prizes! It will also be another Fred Meyer Family Pack Friday with Fred Meyer rewards members eligible to present their rewards card at the Chiefs ticket office to receive a ticket to the game, a hot dog, and a Coca-Cola beverage for just $15/person! 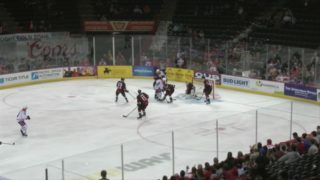 Tickets are on sale now online via TicketsWest, over the phone at 509-535-PUCK and in-person at the Chiefs’ Ticket Office. Ticket packages are also available! Save $$$ on tickets with great value options as low as $70! 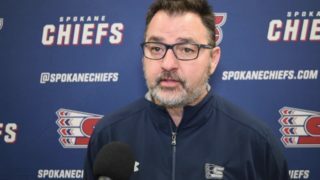 For more information or to purchase, visit the Chiefs’ Ticket Office at Spokane Arena, call 509-535-PUCK or click here.